Just finished the late night shift and sunlight is messing with your beauty sleep? Tired of dry cleaning curtains every week? Timber blinds are here to save the day! Timber blinds not only are hassle free to clean but they effectively block out sunlight giving you that nice afternoon nap you deserve. 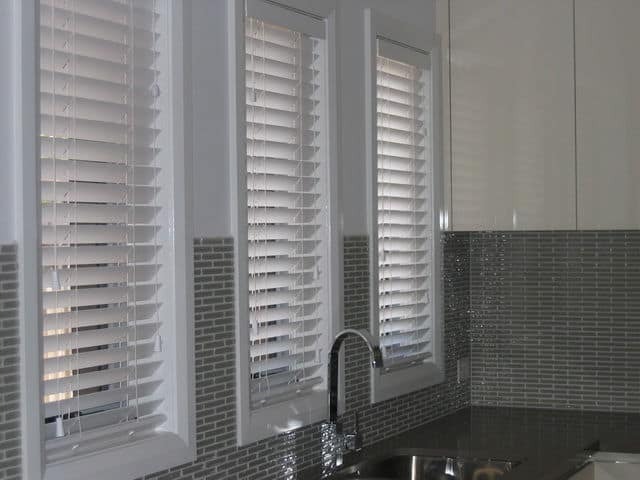 Popularity in choosing timber blinds have been rapidly increasing over the ages. Providing you with the privacy you desire, they also serve the purpose of being aesthetically pleasing to the eyes and not to mention the lack of effort needed to maintain them. Gone are the days of balancing precariously on a chair, trying to get out that chunk of dust trapped in that tricky corner of the drapes. Long past are the times of pushing and pulling curtains. Timber blinds eliminates all those tedious processes, and leaves you with more time to pamper yourself, or go catch that movie you’ve been eyeing. With Timber Blinds, you have the option of choosing from a vast array of finishes to suit the ambience of your home. They can be painted with various colours, stained, or varnished with light or dark shades. Simple, elegant and providing a sense of sophistication. Who wouldn’t want that? With such numerous possibilities of styles, a whole range of emotions that can be expressed, and so many colour ranges you can play with, it’s no wonder that so many people are turning away from curtains and drapes and into the new world that are Timber Blinds. Compared to that cold, unfeeling aluminum shutters you have at the office that crackles and clanks every time the cold wind blows, you now have a chance to feel the warmth and elegance that is only possible with Timber Blinds. Match for any climate, the insulation properties of wood will keep you cool on that ridiculously hot day, or provide that much needed heat on a chilly day, giving you that nice peaceful sleep you’ve been lusting for. The simplicity of maintaining Timber Blinds are probably its biggest appeal. All you need to do is a simple swish of your cloth and you are free! Gone are the long back-breaking hours and troublesome cleaning methods, of taking down curtains and steam cleaning them. Away with the minutes of sneezing you have to go through, every time somebody ruffles the drapes. No more are the seconds you spent worrying, when you have a house party, and a little kid approaches your curtains with a drink in his hand. Look for Roller Blinds Singapore; we will be pleased and glad to assist you. Call us for a FREE onsite quotation today! Timber Blinds. Your choice. THE Choice. Your ONE STOP SOLUTION for any types of BLINDS for home, office & building! © 2018 Roller Blinds Singapore. All right reserved.